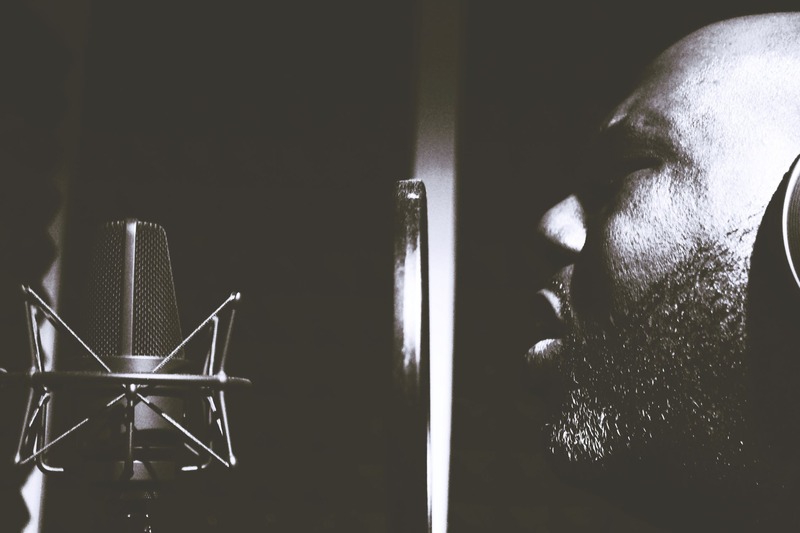 Are you just starting to delve into the perplexing world of recording vocals? 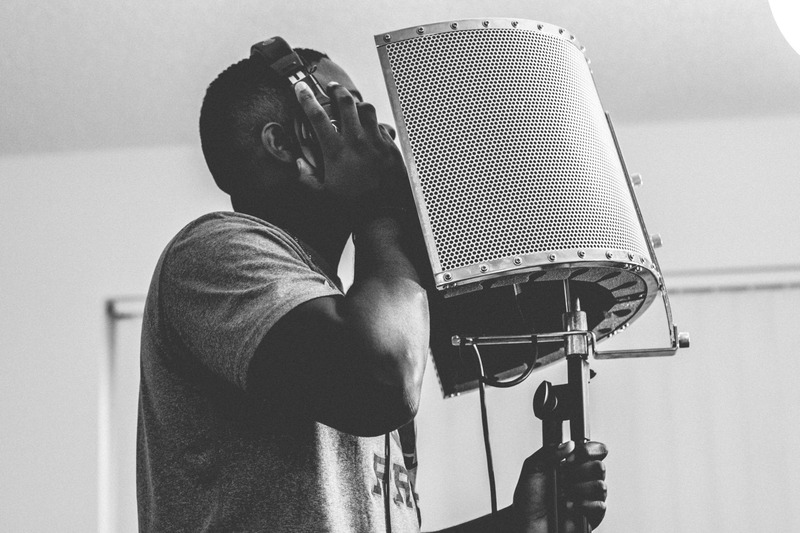 Do you want to learn how to record vocals that sound professional? Although a lot of recording can be trial and error and personal preference, there are some techniques that I feel will help you get off to a good start. I’ve compiled a list of vocal recording tips that I’ve learned over the years that I think will be the most useful to you. I’m going to assume you’ve got the basics covered like microphone choice, stand, computer, DAW, interface and an acoustically treated room or reflection filter. I’ve been a professional session singer for 10 years now, recording vocals via my online session singer service from my studio here in North Devon. I studied recording at university and record my voice daily for hundreds of clients all around the world. Do you want to know how these things will impact your vocal recordings? I know, it sounds easy doesn’t it!? I think it’s still worth talking about briefly, it's easy to skim over and it's easy to knock a mic stand without realising until you listen back, at which point it could be too late. You don’t want any unwanted low frequency rumbles ending up on your vocal recordings. No matter how hard I try I always seem to tap my foot when I’m singing! Even if the vocalist manages not to touch the microphone or stand, they are bound to shift their weight a little. It’s worthwhile putting a bit of work into minimising unwanted vibrations before they potentially travel up and hit the microphone, especially if you have wooden floors. A shock mount is a cradle made of rubber bands that the microphone sits in. It creates acoustic isolation between the microphone and the stand, minimising any vibrations like my annoying foot tapping before they reach the microphone. A lot of Condenser microphones come with shock mount's but some don’t. 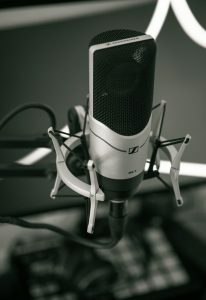 If yours doesn’t have one you’ll need to buy one specifically for your microphone, you can’t buy a generic shock mount. What else can you do to minimise unwanted low end rumbles? For the same reason as using a shock mount, you’ll want to make sure your microphone stand has rubber pads on the feet. Most microphone stands have them already but if they don't, they’re super cheap. You can pick them up for 35p on Thomann. There are many homemade alternatives. Even a rug would be better than having your mic stand stood directly on a hard surface. Anything that creates isolation between the floor and the bottom of the mic stand is a winner. You can check you’re not picking up any floor vibrations by setting up your microphone like you would before recording, turning the gain right up, popping on your headphones and walking around the microphone to see if you can hear any floor noises. Is there anything else you need to bear in mind when setting up your microphone and stand? Lastly, check that your stand is nice and sturdy. Sometimes they can get a bit heavy and wobbly by the time you’ve put on a microphone, a pop shield and a reflection filter. That should be everything about setting up your microphone and stand covered. How far away should you position the microphone from the singer? The general consensus is 8-18 inches and that’s what I work to most of the time but it does depend on the singer. 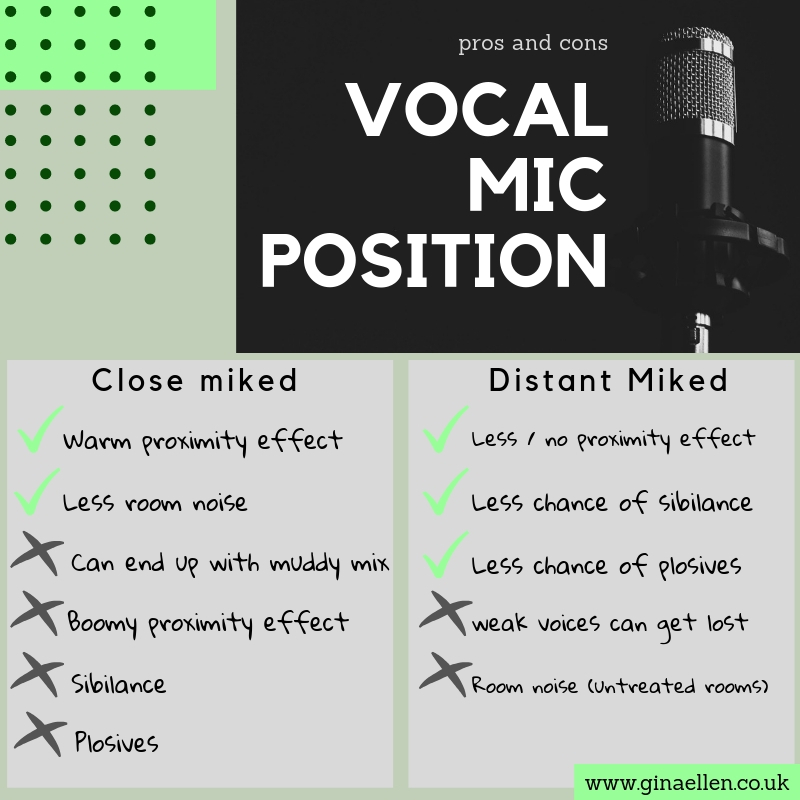 Experienced vocalists will know when to back off the microphone and when to pull in close without damaging the quality of the vocal recording. They know how to control their volume and avoid any unwanted plosives or sibilance (more on those in a bit). If you’re working with an inexperienced singer, get them to back off the mic and stay at least 8 inches away. This is going to give you the most consistent vocal recordings. A singer with bad microphone technique getting right up to the mic is, in my opinion, a recipe for everything you don't want on your vocal recordings. I’ve found that vocals for some songs can work really well recorded up close, taking full advantage of the proximity effect. Usually, these are intimate, slower songs with sparse instrumentation. Singing closer than 6 inches to the microphone for a belting, busy song can end you up with A muddy mix. A singer with a big, belting, powerful voice is going to need to be further back from the microphone than a singer who has a timid or weak voice. The closer the sound source (in this case the singer) is to the mic, the more sensitive it is to low end frequencies. This can result in a bass boost of up to 16dB, depending on the microphone. It can be tempting when recording vocals to get as close to the microphone as possible to counteract any room noise. I would suggest acoustically treating your room or using a reflection filter if room noise is the only reason you're close miking. Close miking is a cheap fix for room noise. Why Would You Use The Proximity Effect? It can create a warm, intimate sound if used correctly. What Is The Downside To The Proximity Effect? It can create a boomy vocal that can be impossible to mix. Different microphone pickup patterns will make the proximity effect more noticeable. A figure-8 pickup pattern will have roughly double the proximity effect of a cardioid and an omnidirectional will have no proximity effect. How Can You Minimise The Proximity Effect? Simply put, you can get your vocalist to back off the mic! The proximity effect really only starts at around 10 inches or closer to the mic. Angling the microphone off-axis will also reduce the effect. Is There Anything I Can Do To Stop The Proximity Effect? Yes, you can use a microphone with an omnidirectional pickup pattern. Omnidirectional microphones don't have any proximity effect. Condenser microphones with a switch to change the pickup pattern to omnidirectional will still be affected by proximity because of the way the microphone is built. From personal experience, getting closer to the microphone for a warmer, more intimate sound can work better on tracks with sparse instrumentation. Although some low end warmth might sound great on an isolated vocal, once you add other instruments with low frequencies (especially if they have been close miked too) the mix can start to sound muddy. Use, don't abuse the proximity effect. What is sibilance in recording? The consonants 's' 'z' and 't' are created by breath passing between your tongue or teeth. (if you put your hand in front of your mouth while making these sounds you can feel little puffs of air). Sibilance is a natural part of the human voice but it can cause some issues when recording vocals. A sensitive condenser microphone will pick up on these sounds and exaggerate them, creating unwanted high frequency hisses. So, what can you do to help sibilance? The closer the vocalist is, the more sibilant your recording will be. Turning the microphone slightly off axis will change the way the high end frequencies are received. Tilting it to the left, to the right or facing down can help. I've heard of recording engineers fixing a pencil to the middle of the microphone vertically with an elastic band. I've also heard of singers putting a piece of chewing gum on the roof of their mouth. I have no experience in using either of these techniques so I have no idea if they work! All in all, using the above techniques, there should be no reason why you're still ending up with sibilance on your vocal recordings. Similar to sibilant consonants, plosives are also produced by puffs of air. The consonants that make a plosive sound are mostly 'b' and 'p'. Rather than creating a high frequency hiss like a sibilant sound, they create a pop or thump. If you use the hand in front of your mouth test again, you'll feel the puffs of air, this time a little more vigorous. So, how can you stop plosives on your vocal recordings? 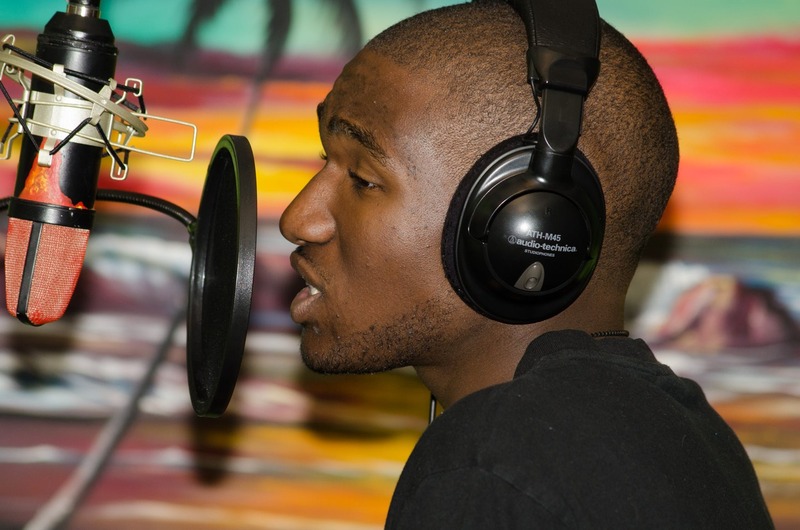 A pop shield is a piece of mesh spread over a wire hoop that sits in front of the microphone. You can pick them up reasonably cheaply. On a side note, l've found that I prefer to use a pop shield than the foam covers you get with some microphones, the ones that go over the top. They seem to cut out a lot of the top end frequencies in my opinion. Yet another reason to ask the vocalist to stay at least 6 inches away from the microphone. Try moving the microphone up, level with the singers forehead rather than their mouth, this way the microphone isn't taking the full brunt of the plosive blast. If you're working with an experienced vocalist they may well automatically tilt their head to the side on plosive consonants. Something I have learned to do as a professional vocalist is modify the consonant so that it isn't such an aggressive expel of air. This is done with breath control and having control over the position of your tongue and lips. Probably not something you can teach an inexperienced vocalist in a time limited studio environment. I think that covers most of the ways you can help control plosives from ending up on your vocal recordings. And how to work around plosives and sibilance. These recording techniques I've talked about are really just the tip of the iceberg, not a comprehensive guide to recording vocals. They are the tips I would find the most helpful if I was just starting out on my recording venture. Hopefully they go some way to helping you perfect your vocal recordings. Lastly, if you're interested in having your vocals recorded professionally, I'd love you to check out more about my online session singer service. I offer professionally recorded vocals for one fixed price with as many alterations as you need. Get in touch for a free sample or to talk about your recording project.